In today’s economic climate, resources are limited, and cost savings and cost avoidance are critical. The immense size and complexity of data assets have made it difficult for organizations, municipalities, counties and others to easily capture, retain, and distribute meaningful geo-located information throughout the organization in a timely, cost effective manner. RightSpot provides low-cost collaboration and support that allows you to access your data and leverage the power of GIS. With Spatial as your GIS department, SPATIAL updates data based on your priority working as an extension of your organization. Updates are available to users on their computer, tablet, and smart phone. SPATIAL maintains up-to-date technologies and functionalities. 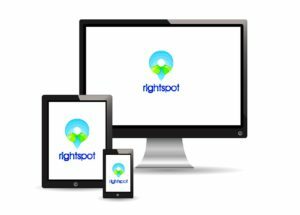 RightSpot is GIS leverage, sustainability and mobile functionality. Map Services include geospatial (CADD/GIS) services which augment or serve as your mapping department.